Not to be confused with the 1978 Warren Beatty film of the same name -- a remake of Alexander Hall's Here Comes Mr. Jordan, recently released by Criterion -- Ernst Lubitsch's Heaven Can Wait (1943) serves up "this is your life" comedy with a supernatural twist. 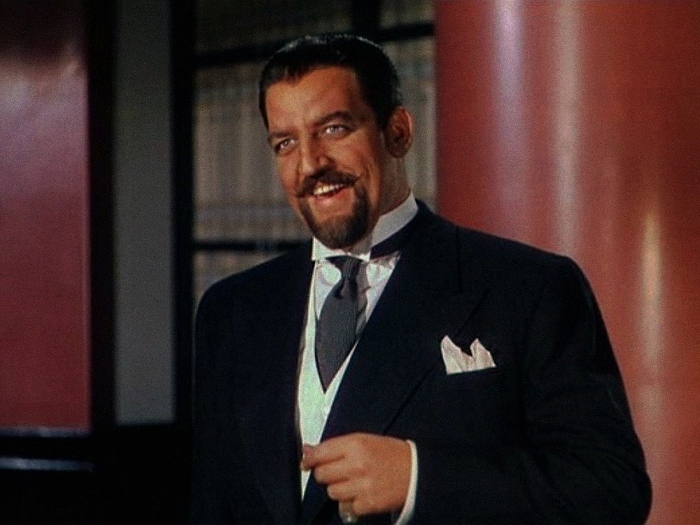 Recently deceased Henry Van Cleve (Don Ameche) enters Hell's waiting room, assuming he'll be accepted by "His Excellency" (a perfectly cast Laird Cregar) after a life full of sin. His Excellency, however, isn't convinced. Pleading his case out of guilt, womanizing Henry recaps said life in chronological order and we're along for the condensed ride. Born in 1872 to aloof, puritanical parents Randolph and Bertha (Louis Calher and Spring Byington), Henry is obviously the black sheep of his family: he's nothing like Mom and Dad or bookish, successful cousin Albert (Allyn Joslyn), and his only kindred spirit seems to be impish Grandpa Hugo (Charles Coburn). Simply put, Henry is spoiled with few ambitions, turns the heads of ladies, but is perpetually outsmarted by almost all of them. An encounter with the family's French maid (Signe Hasso) during his formative years cements Henry's attraction to a certain type and, within a decade or so, he meets future wife Martha (Gene Tierney). Unfortunately, Martha just happens to be cousin Albert's fiancée...but soon enough, she and Henry elope. Both the Van Cleve family and Martha's parents -- similarly wealthy and distant E.F. Strable and his wife (Eugene Pallette and Marjorie Main) -- cry scandal, and the young bride is disowned at once. 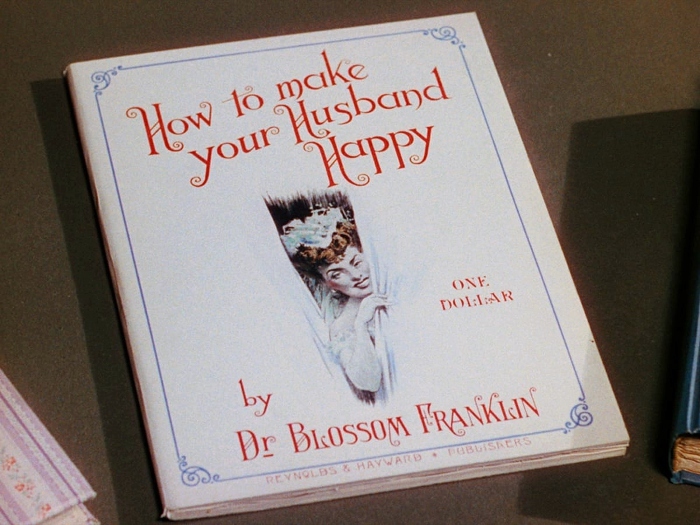 The bulk of Heaven Can Wait concerns itself with Henry's unusual life and the turbulent ups and downs of his relationship with Martha; they elope a second time after nearly divorcing ten years into the marriage, and Henry's obviously no stranger to other women whether or not he and the wife are "on a break". 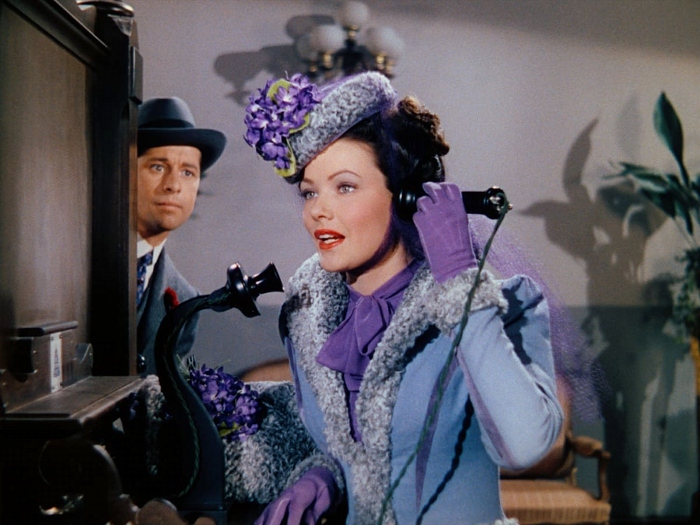 To the credit of Lubitsch and company (which certainly includes Don Ameche and Gene Tierney, who maintain wonderful chemistry here), their relationship is one we continue to root for, even though she's got every reason to send Henry packing. Still, Heaven Can Wait spins its wheels a lot along the way: there's too much time devoted to unimportant details, some of the jokes fall flat -- or have been lost in translation during the past 75 years -- and a few of its best elements, such as Hell's waiting room, aren't given nearly as much screen time. But this is still a charming production worth watching or revisiting, especially considering its "questionable" subject matter during a particularly strict era in Hollywood filmmaking. Criterion's well-regarded 2005 DVD was likely a godsend for die-hard fans and a great introduction for new ones, but this Blu-ray predictably offers an solid upgrade in the A/V department. Sourced from a new 4K restoration spearheaded by 20th Century Fox and the Academy Film Archive, Heaven Can Wait looks about as good as its nitrate negative will allow and the audio gets a courtesy bump to boot. Although the bonus features haven't been improved upon, this is still a nice package that serves as an even better introduction to Lubitsch's first and only completed color film before the director's sudden death in 1947. This new 1080p transfer of Heaven Can Wait is taken from a new 4K digital restoration by 20th Century Fox and the Academy Film Archive in collaboration with The Film Foundation, and can basically be described as the best possible presentation of limited source material. Black levels, texture, image detail, and contrast all outshine previous home video releases (including Criterion's 2005 DVD, of course), while the robust Technicolor palette pushes the limits of saturation without excessive blooming. No obvious imperfections, including digital noise reduction, black crush, or compression artifacts, could be spotted along the way. Still, Heaven Can Wait's original nitrate negative doesn't lend itself to the smooth, even contrast that we're used to seeing on 4K restorations, but that's par for the course and won't disappoint those familiar with the format. Since there's technically not much room for improvement, it's easy to give Criterion's Blu-ray high marks...even if it might pale in comparison to classic films shot on more durable stock. As usual, Criterion plays it straight with a PCM 1.0 Master Audio track that preserves the film's original mono mix; like the video presentation, a few forgivable flaws remain (mostly some mild hiss during a few scenes, as well as a somewhat thin high end) but it's mostly great news here. Dialogue is typically crisp and precise throughout, with well-balanced music cues and background effects that rarely fight for attention. Optional English subtitles are included, but only during the main feature and not the extras. Criterion's interface is smooth and easy to navigate with quick access to its timeline, chapters, and bonus features. The disc is locked for Region A players and comes packaged in a stocky keepcase with artwork similar to their 2005 DVD (it's still awful). The accompanying Booklet includes a reprinted essay by film scholar William Paul, production photos, and notes about the new A/V restoration. Ernst Lubistch's Heaven Can Wait is a fine film with strong performances, and it'll likely play better with new audiences than most comedies from the era. While it overstays its welcome at times, the core story is interesting (not to mentioning the bookending "Hell" scenes, which are highlights) -- and when considering Hollywood's rules and regulations of "good taste" that Lubistch had to skirt carefully, it's astounding that so many clever jabs were able to sneak in under the radar. Criterion's Blu-ray package is another decent upgrade of an earlier DVD edition; it's got a newly-restored transfer and lossless audio, of course, but the lack of new bonus features is slightly disappointing. Recommended to established fans and newcomers alike, but not exactly a "run-out-and-buy" upgrade if you already own the DVD.